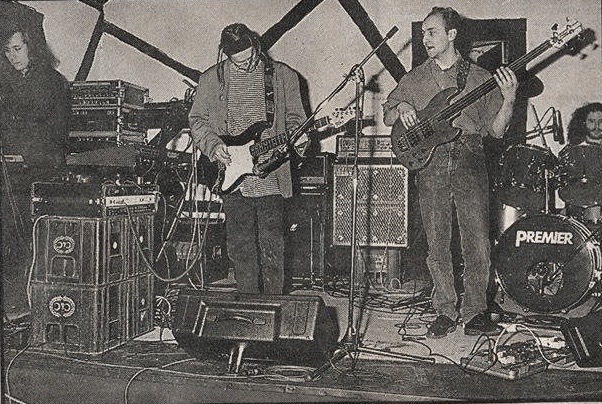 25 years ago today, on the 4th December 1993, Porcupine Tree made its first ever live appearance at the Nag’s Head in High Wycombe, UK. By then 2 albums and an EP had been released under the name (and a third one was half finished), all of which gave the impression that Porcupine Tree was a band, when in fact it was a solo project, just me messing about in my bedroom studio, although Colin and Richard had both guested on one song each on Up the Downstair released earlier that year. Positive press and a growing fanbase had led to increased pressure for live appearances, so in late 1993 I asked 3 brilliant musicians I knew, Colin Edwin (from my home town of Hemel Hempstead), Richard Barbieri and Chris Maitland (both of whom had played with my other band No-Man) to join me in forming a real band line up of the project. For some reason they all agreed, and on the strength of the buzz about the project, Richard Allen at my then record company Delerium managed to book this show, as well as 2 others and a BBC radio session. After one week of rehearsals this was our first ever gig in front of an audience, performing a 7 song, 70 minute set in a backroom of a pub to about 200 people that had traveled from all over the country. The first song played was Voyage 34. which you can find elsewhere on the web, but here is a mixing desk recording of the second song Always Never. This would have also been the first time I had sung in front of an audience, at least since the days of my various school bands, so I can only imagine now how nervous I must have been at the prospect!